YNX Co-Sponsors ConneK 9 (Review) – Yannix(Thailand)Co.,Ltd. 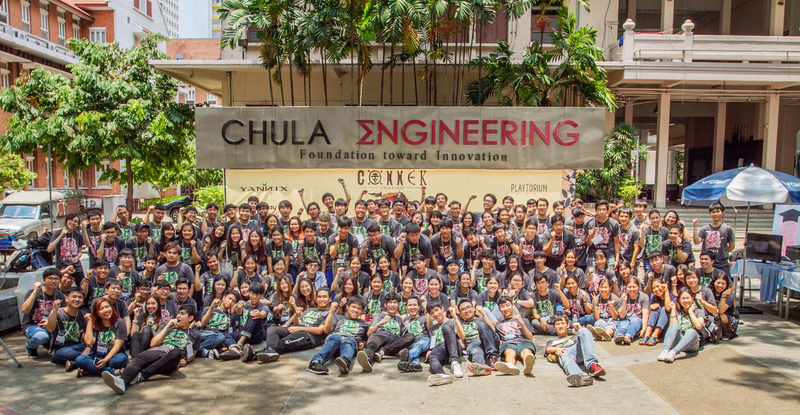 Yannix (Thailand) Co. Ltd., and Playtorium Solutions Co. Ltd., co-sponsored this year’s ninth installment of ConneK, which was held on April 7, 2019, in the Larn Gear Courtyard at Chulalongkorn University. ConneK (aka KonneC, which stands for Connections of CU and KU Computer Engineering Students), affords the students from both universities an opportunity to get to know one another through interactive activities and friendly athletic competition. This year’s event, ConneK 9, drew approximately 250 students between CU and KU. One of the highlights from this year’s event was a 10-minute talk given by Yannix Executive Manager, Dr. Thavida “Praew” Maneewarn who spoke on the topic, Software Development for Hollywood Movies. During her talk, Dr. Maneewarn discussed match moving for motion pictures and the important role programming plays in the process. 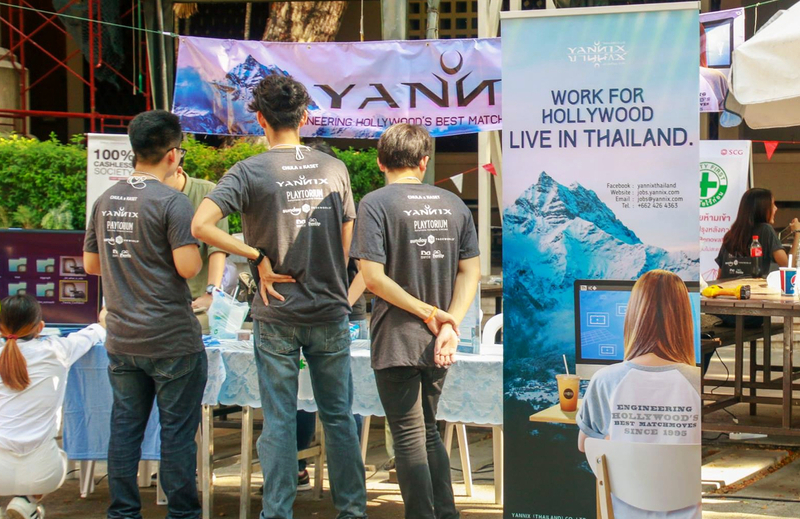 She also wanted the students in attendance to know that Yannix is a world-class company that strives to attract the best and brightest Thai students to join us. Yannix thanks everyone who visited our recruitment booth and met Yannix’ University Relations Officers, Pajaree “Mint” Sungvianwong and Korlapat “Tarn” Kulkasem. We hope to see everyone next year at Kasetsart University (KU) for KonneC 10.